Do you plan to exercise a few days a week but then make lots of excuses not to. Have you ever signed up for a fitness class that you were really pleased about and then just turned up once. Sometimes we really really want to exercise, get fit and loose weight but we just cant motivate ourselves to get up and do it. So how can we push past this hurdle and exercise more ? If I was honest, every morning I wake up, my first words are “Oh I feel so tired”. I look forward to my weekend from about Wednesday and tell myself I will have time to rest once Friday comes. Then I find myself late on a Sunday night wondering where the weekend disappeared to and where was that hour I promised myself to relax and take it easy over the weekend. It didn’t happen. Most of us who work full time pack so much into our weekends that when Monday comes we find ourselves tired with little energy. So how do we pull ourselves up off the couch and push ourselves to exercise and strive to loose weight. Here are my four tips to get moving and exercising. Believe me it is not easy but is something I do everyday simply because if I want to keep the weight off, then I need to exercise. This is so important. My rewards are not necessarily food related. As much as I love a carb after exercise I try to just have a carb once a week. Instead I like to take 20 minutes for applying a tan on a Thursday (Thursday Tan) or maybe have a bath or maybe paint my nails. I will definitely pencil it in after a HIIT because I’m worth it. Lately I have annoyed my best friend with what I am trying to achieve and what my goals are. The constant help and support of a friend is priceless. The buddy you choose needs to be honest and definitely somebody that will help you achieve your goal and get you up off that seat and get moving. 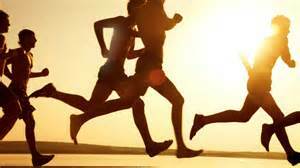 Arrange to go for that run or walk early in the day so you can’t let your friend down when your feeling tired. I have mentioned this before in my posts and it is a huge step in pushing through the tough times and achieving your exercise goals. 10% of weight loss and healthy eating is positive thinking. You need to love yourself and tell yourself that you are totally incredible and in control of all your beliefs and dreams. Write down what exercise you are going to do and your reasons for exercising. Then you will definitely do it. I always think of what is in my wardrobe and what I want to fit me. I often take it out and try it on to see how it looks. This is a great boost to get up and exercise. I know we all love to look well and when the lovely clothes in my wardrobe are too tight then I try that bit harder to exercise so I will fit into them. I hate buying a bigger size so exercise it is for me. So remember the reason you want to exercise. Have you an event this spring or summer. Do you want to fit into that gorgeous dress hanging in your wardrobe? Do you want to fit into those skinny jeans and wear a nice t-shirt in the summer time without having a muffin top hanging out over them? Have you that holiday planned and that beachwear ready to purchase? Whatever your reason, get up, get out and exercise no matter how horrible, miserable or tired you feel because one thing for sure is you will feel a million times better when you do.